Stonechat and Corncrake Cottages are individually sited immediately above the pebbled beach at Ardmair Bay each sleeping up to 4 persons. 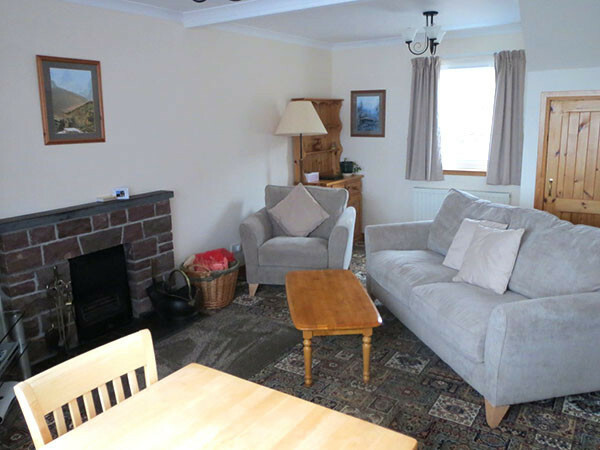 The cottages are situated next to each other and look directly onto the beach below and out to sea, allowing for magnificent, uninterrupted views of Ben Mhor Coigach and the Summer Isles, directly overlooking Isle Martin. 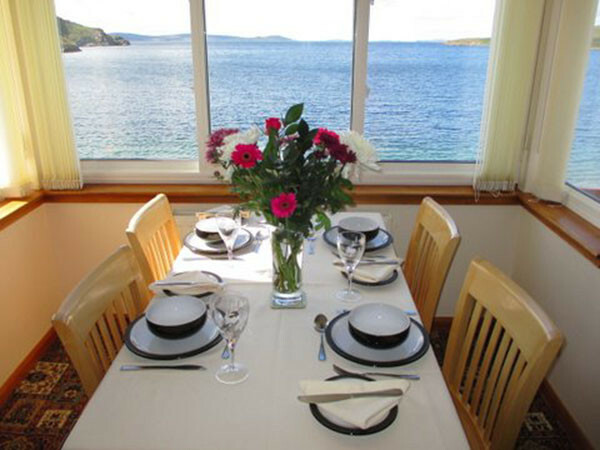 The lapping of the waves from the sea below can be heard from the cottages and the sunsets over Ardmair Bay are breathtaking. 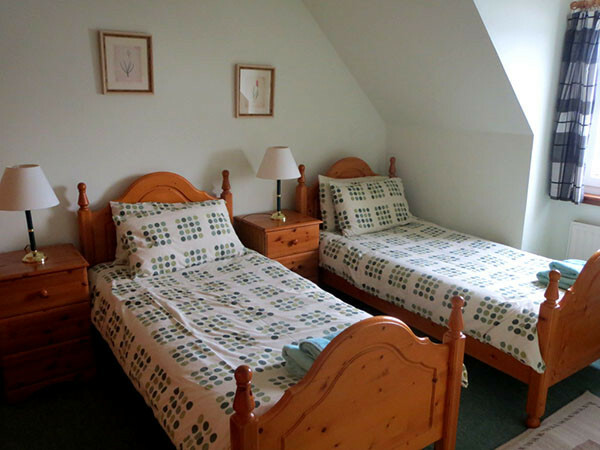 Both of the cottages are identical in design and comprise of two bedrooms, one double bedroom and one twin bedroom located on the first floor. Both bedrooms look directly out to sea. 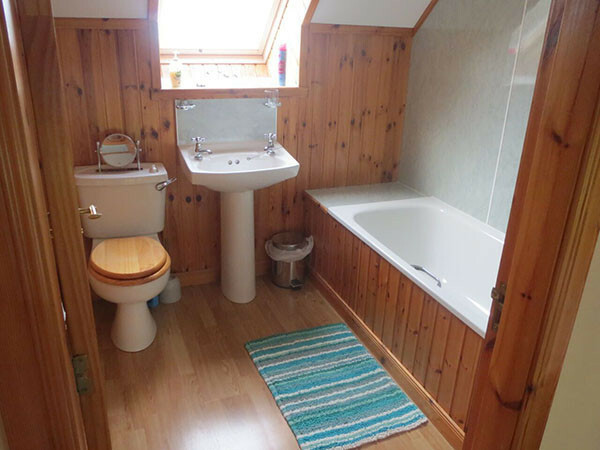 The bathroom, also on the first floor has a wash hand basin, toilet and a bath with an overhead electric shower. 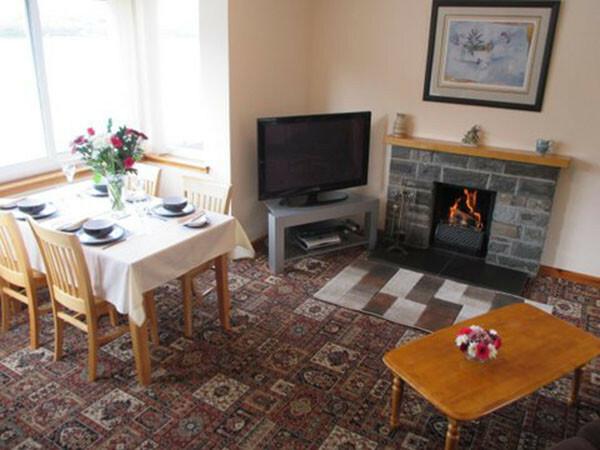 The cottages have a cosy, spacious living room and dining area with an open fireplace suitable for burning logs and coal. 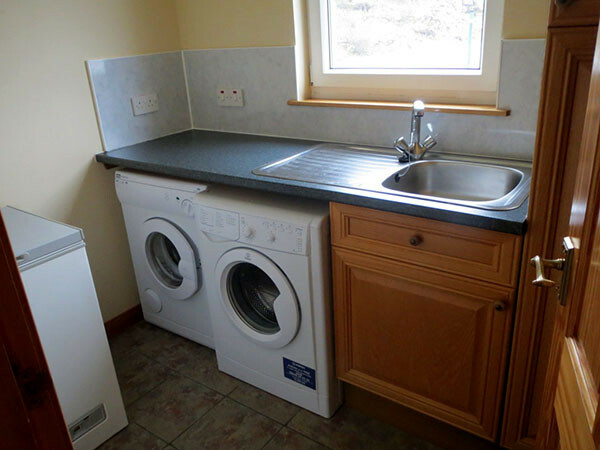 There is a separate well equipped kitchen and a small utility room within each cottage. Each cottage has a small fenced garden area with a washing line. 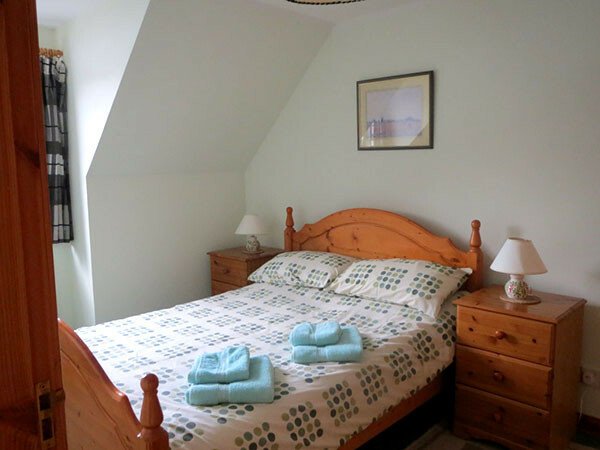 Self-catering cottages start at £330 per week. To make a new booking enquiry select the start and end dates from the calendar below and fill out the contact form that appears. In peak season (April-October) bookings commence on a Saturday for 7 nights, check out is at 10AM. If you require any assistance please click the contact links, fill in the form and we will get back in touch as soon as possible with availability options. Private parking is available at each cottage. 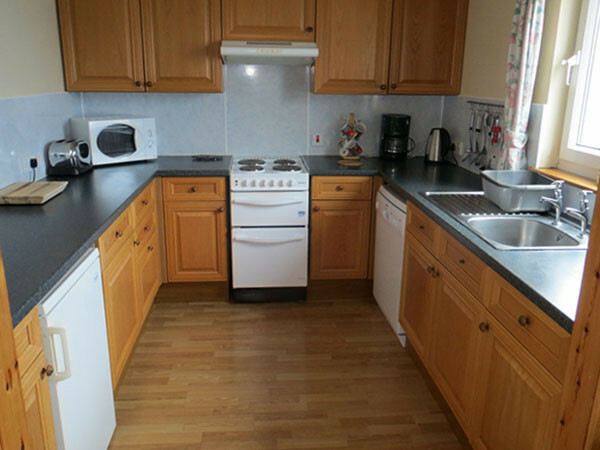 Heating and hot water is provided by an oil fired central heating system, the cost of which is included in the rental price. Fuel for the open fire is not provided but may be purchased locally. Pets are permitted but only with prior permission and in all cases must be kept under control at all times.